Made of high quality steel, the H38 is rated for handgun calibers from .38 up to .45 soft nose lead. Hit the target and watch it spin until it rests back to its original position. No need to manually reset the target. 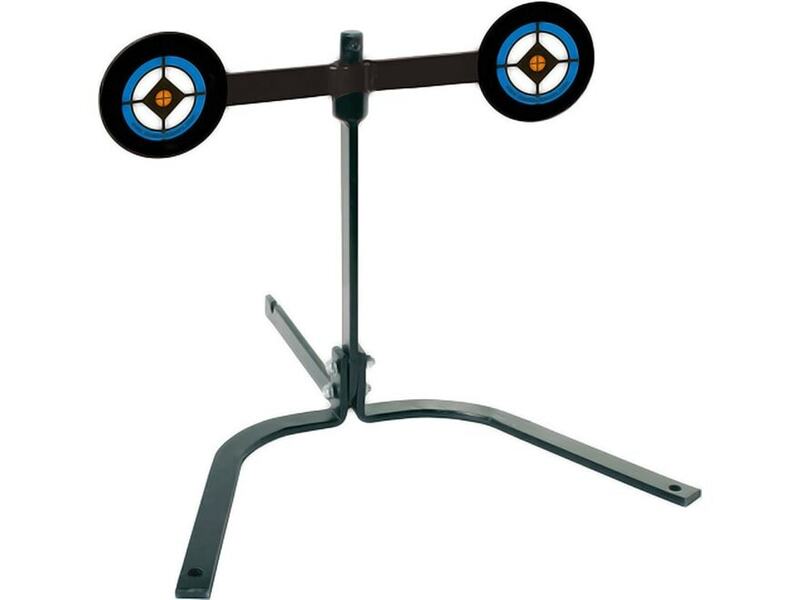 The target paddles sit on a sturdy steel frame and is anchored firmly into the ground with the three stainless steel ground spikes that are included.